We are at the end. We’ve made it through the first acknowledged Great American Miniseries. As we enter the final lap, some lives are fraying (Peter Strauss’ and Susan Blakely’s) and some are flying (Nick Nolte’s). The problem child has wised up and become a dependable man with a son and a fiancee. The once-dependable man is hassled and henpecked. How will it end? At the very end of Chapter 11, Nick’s seemingly blissful existence was about to gain cloud cover as sworn enemy William Smith had found him. He had beaten up William Smith a few years earlier, so badly that William lost an eye. As Chapter 12 starts, Herbert Jefferson brings Nick the news that William is nearby. For now, Nick is so happy with his son back and in love with Kay, who finally accepts his proposal of marriage because she’s pregnant. Fortunes are up for Nick, but down for Peter Strauss, his political career on the rise, but very unpopular with the youth who are angry at his position on ROTC. In fact, he orders an editorial written “drawing parallels between the New Left and Hitler.” That’s how out-of-touch he’s become. Worse yet, Susan has become a full-time lush, so bad even the maid can’t deal with her. She and Peter have a massive fight where both admit it is time to think about their failing marriage. The students decide to picket Peter’s house, throw rocks and get Susan to open the door, naked and drunk. Peter blames the mayor, the police and everyone else but himself, and only because of the affects it may have on his political career. This is where he finally snaps. All the years of creating his perfect life have been derailed and he becomes…his brother. He goes to the school paper and tears the place up, punching a guy, knocking down a shelf accidentally on a girl, who is blinded by the chemicals falling on her, all of it caught by salivating photographers. Their lives have finally reversed, to some degree. Susan goes to the hospital to dry out, worried that she has ended her husband’s career, but he now takes full credit. The guilt is eating at him, especially when the blinded girl acts very heroic about her state. Peter and Susan want another chance, if she can give up alcohol and he can give up politics. Peter and Susan travel to France for Nick and Kay’s wedding. It’s a joyous wedding and other than a sip of wine for a toast, Susan doesn’t drink. Nick is thrilled to have Peter there. His present to his brother is a radar that Nick has always wanted for his boat. “This is the greatest damn wedding anybody ever had,” Nick claims in drunken delight, before passing out. “I’m afraid the wedding night might have to be postponed,” Kay admits in good cheer. Naturally, Peter is angry at Susan, both full of excuses, and the subject of divorce comes up again, tabled again. William exacts his revenge, looking from yards away as his goons stab Nick. When Kay finds him, he’s barely alive. That means a hospital scene! Naturally, it’s between the brothers, Nick barely able to speak, but wanting his brother there at the very end. “You go get ’em…you go get the bad guys,” Nick says. “I don’t know who they are anymore. I think I’m one of them,” Peter cries. “No…you’re not,” Nick assures him and then dies. This scene is brief and handled beautifully, where it could have easily been drawn-out and maudlin. Nick’s ashes are thrown into the ocean by his son and wife, with his brother, sister-in-law and loyal Herbert in attendance. “He died on the happiest day of his life,” Kay assures Herbert. Peter and Susan are able to join hands with some amount of hope as the miniseries finally ends. What’s new is not the story, but the telling. The 1970 Shaw novel could have very easily been condensed into a major motion picture, probably cutting most of the characters and all of the charm, leaving us with cardboard characters and fey storytelling. Instead, a bunch of brave people decided to try something different: taking a lot of what British television had been doing for ages (and, in truth American television had tentatively done previously), filming the whole story, or most of it, in epic style. We’re not chopping Shaw down to two hours, or even three. It received 12 episodes and was broadcast over enough time to keep viewers interested. This is something new. It’s not the standard 20some episodes of a cop or hospital show, where viewers didn’t have to watch every week to know what was happening, but it was given the opulent treatment of a successful television drama. It’s also not daytime soap opera, which had done all of these plots before, stretching them out over years at a time. It’s a mix. 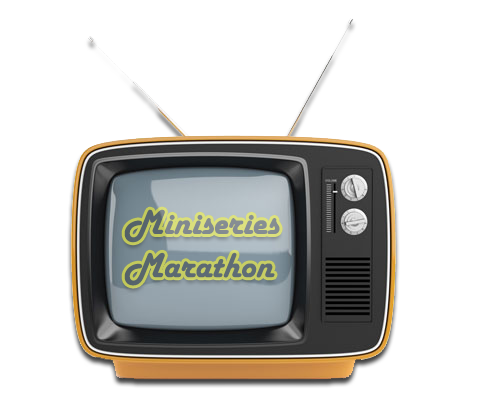 Thus the term miniseries. Everything is wrapped up in a tight package, but the package is bigger than ever mounted before. If a fairly hokey and predictable novel like “Rich Man, Poor Man” could be done in this style, what about something bigger? What if we don’t just travel through 20 odd years with a few people and a bunch of costume changes? What if we go even bigger? After all, that’s what Hollywood is known for. In the immediate future, there was the bravery of adapting Alex Haley’s “Roots,” a long but very stark look at the very heart of American society, and further down the road such enormous sagas as “Holocaust,” a European-based equivalent of “Roots” and every bit as brave, “North and South” or “Winds of War.” But, “Rich Man, Poor Man,” while sending producers scrambling for well-reviewed long novels, also realized that it wasn’t necessarily the saga of the thing, but the soap in it too, which led to “The Thorn Birds” or “East of Eden.” Hell, some of them weren’t even that intelligent and spread before us “Harem” and “Kane and Abel,” pure trash dolled up to look like the millions of bucks they cost. But they were all successful, to varying degrees, and this push toward big television kept on going for 20 years. It ended with cable television and the Internet pulling away focus, but that’s a story for 1995 or so, not 1976. In 1976, “Rich Man, Poor Man” was staggeringly new, full of vivacity and emotion, setting rules for an entire genre no one knew would necessarily follow. After all, this could have been an enormous dud. If viewers were not gripped from the onset, there was no chance of keeping them hooked (a lesson learned years later when the miniseries reached its most outlandish size with “War and Remembrance”). But, “Rich Man, Poor Man” hooks. It has real characters, small-town people with real problems. Sure, they get a little lofty at the end, but their problems are always real: fear, jealousy, happiness, love, loss. That’s the secret to all the Great American Miniseries: dress them up in whatever finery you want, cast the hell out of the piece, give it all the trappings, but make it somehow relatable to people turning on their television sets. They aren’t paying money to go to a theater and see this, so they aren’t trapped. The only way to keep them is to grab hold from the beginning and never let go. From the moment Rudy Jordache plays his bugle to herald the end of a devastating world war and the moment Tom Jordache sneers at it, from Axel Jordache miserable in a basement bakery to Mary Jordache ignoring the badness to focus on her shining star son, or even the simplicity of Susan Blakely as a candy striper reading “Gone With the Wind” to wounded soldiers, these are people the folks at home can understand. Understand them, understand their problems, and stick to that. The problems may get loftier (in minute ways like state politics here or in massive horrors like slavery or concentration camps in later pieces), but the way the characters deal with them will not. Watch Meryl Streep in “Holocaust” and though the world is exploding around her, she only wants her husband back. And that, as I see it, is the secret to the Great American Miniseries, letting the viewers in for a limited time to emotions they can comprehend. Television usually keeps us outside of the box, laughing at outrageous Lucy ruining Desi’s show, or Dorothy and Sophia snapping at each other, or by having Dr. Kildare solve yet another medical mystery we would never have been able to understand, ditto for Jessica Fletcher, asking us to stop our lives and give them over to other people for 30 or 60 minutes. Not so with the miniseries. Sure, you can send us to Medieval Japan in “Shogun,” but what are we asked to believe there? That the hero wants to understand what he’s never seen and then falls madly in love? Not so far-fetched (emotionally). What was the secret behind “A Woman Named Jackie?” That one of the 20th Century’s most discussed women loved and hated and regretted and feared. Sounds real enough to me, no matter the costumes or the sources of those emotions. Unfortunately, not every miniseries will be this intelligent, but they don’t have to be because not everybody wants to think with the television on, though they can still come inside. What emotions are we expected to have for Ted Bundy in “A Deliberate Stranger?” None, it’s just there for shock value, as would be many true-crime sagas, but we breathlessly follow Mark Harmon’s every move. What are we to make of “Fresno” other than feeling the hangover that comes with biting the hand that feeds you (and badly)? Nothing, it’s just there because someone thought it would be clever. Or traditional epics that had been filmed before like beloved “Ivanhoe” or “The Scarlet Pimpernel?” Nothing, just bask in the glow of their incredible storytelling for which you don’t have to leave your home and pay money for seats and popcorn to get drawn in. Granted, Ted Bundy and the French Revolution are delicious hooks for a television audience and they deserve more than just an hour condensation, but there is also the value of pure entertainment to be considered. After 12 episodes of Susan Blakely’s moping in “Rich Man, Poor Man,” one has had enough. One can still relate, but one can also want it to end. The great thing is that it does, because the miniseries always end. They do not continue season after season. With that, we’re back to the brilliance of creating such a genre.